Leo craves drama and Gemini needs variety. This couple will never run out of things to do, and they’ll continually spark each other’s interest. The only difficulty may be Gemini’s inability to pour all her emotional energy into worshipping the King. Sun in Leo gives generously, but expects much in return. He’ll thrive with a partner who appreciates his warmth and romance while feeding his ego. Leo’s purpose is to express himself, and he wants to be noticed while he’s doing this. A lover who is also a playmate would be ideal, because the King is a child at heart. Keeping Sun in Leo’s fire burning depends on keeping the romance alive, whether the relationship is 10 months or 10 years old. Moon in Gemini needs variety. She feels most secure when she has more than one option to pick from. This does not mean that she can’t settle down with one partner, but her partner should be prepared to liven things up. Gemini is the sign of duality, so her moods will shift from one state to another (several times a day). Routine, silence and boredom are guaranteed ways to shut Moon in Gemini down. An endless discussion with her lover (about almost anything) is what will keep her coming back for more. Sun in Leo will be revitalized by Gemini’s inner restlessness; she’ll keep him guessing with her rapidly changing moods (and emotional indecision). 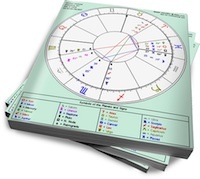 Moon in Gemini will feel that she can connect with her larger-than-life partner, because Leo will keep things fresh with his playful attitude. Together, they’ll create a sparkling relationship where the fun never fades. Moon in Gemini may not always give Leo the attention he craves (he’ll have to compete with her various hobbies) but he should be able to move past his bruised ego once they hash it out (verbally).